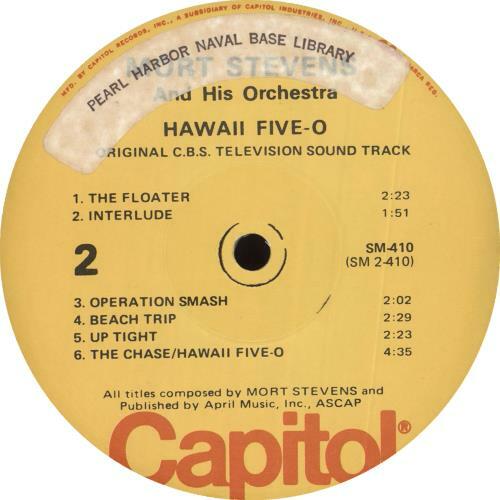 ORIGINAL SOUNDTRACK Hawaii Five-O (1969 US 12-track vinyl LP, Mort Stevens And His Orchestra's score to the classic detective TV show starring Jack Lord, hype-stickered pasted picture sleeve. This copy was the property of Pearl Harbour Naval Base library and bears its stamp to the reverse and also sticker to the label; you can't get more Hawaiian than a copy that spent its life in Honolulu's historic deep water base! The sleeve has a seam split to the bottom, typical of US sleeve design and shows just a little light wear, whilst the vinyl is Excellent with just a few light signs of play. 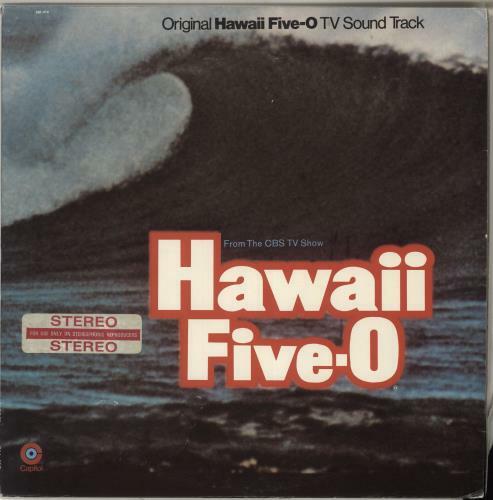 Book 'em Danno! ST-410). Bande Originale Du Film "Subway"